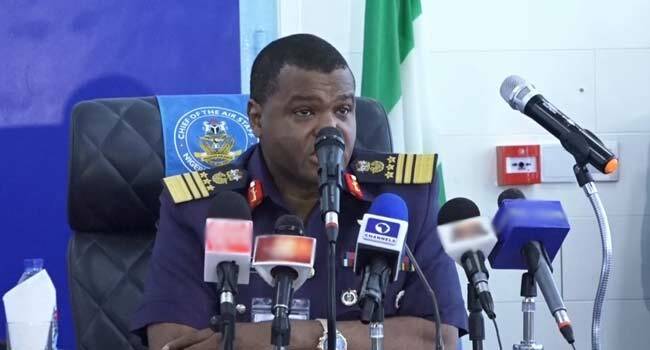 The Chief of Air Staff, Air Vice Marshal Sadique Abubakar, says the Nigerian Air Force will provide logistics in the forthcoming supplementary elections. Speaking at a meeting with senior officers of the force in Abuja, Abubakar said over 120 NAF personnel are involved in the distribution of election materials across 31 locations in the country. “The Nigerian Air force was tasked with the responsibility of moving electoral materials at the last minute, but despite that, we were able to move over 820,000kg of electoral materials using 8 aircraft to 31 different locations in Nigeria. “We were able to conclude this despite the fact that we were brought in late and ensure that the presidential and National Assembly elections, as well as state governorship elections, were conducted. “Even the supplementary elections, our aircraft were able to convey some of the materials yesterday to Jalingo, Yola, and Bauchi. Similarly, we are rounding off the distribution of supplementary election materials to other areas INEC would want us to drop,” he stated. The NAF Chief also promised a better synergy with the electoral body in distributing more electoral materials for the supplementary elections.